We want our clients to live better lives and worry less. Ginsburg Financial Advisors (“GFA”) is a deep and experienced financial advisory firm providing tailored guidance and an exceptional experience to a select group of individuals, families, and business owners both locally and around the country. Our mission is help our clients live better lives and worry less by leveraging our experience, depth of expertise, and passion for service while assisting them in making smart financial decisions consistent with their vision of success. Through our Collaborative Approach, we provide our clients with clarity and confidence around understanding where they stand and what to do. Our clients take comfort in the Tailored Guidance that we provide, knowing we have a fiduciary relationship with them, which means we always act in their best interest. We are ready to assist and always strive to deliver “something more” because of our commitment to Attentive Service. 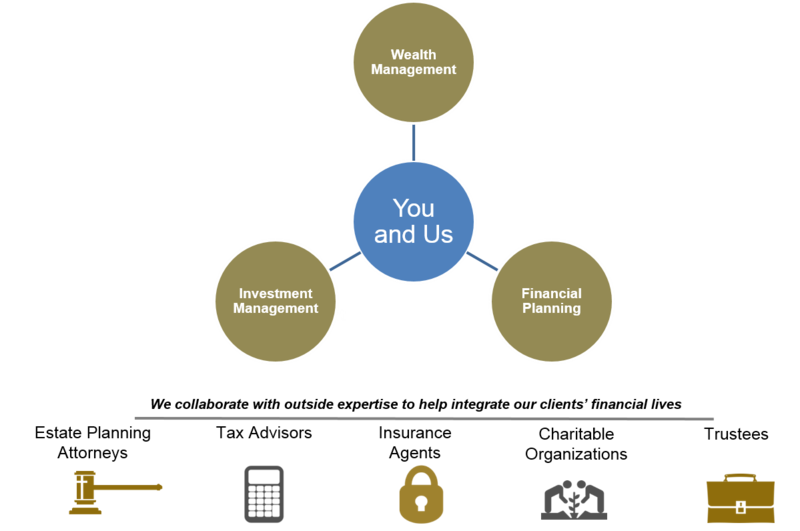 We bring together the sometimes confusing, often overwhelming elements of long-term financial success… financial planning, investment management, and wealth management. We do this with a sense of purpose and responsibility, which are designed to provide clients with confidence and clarity.